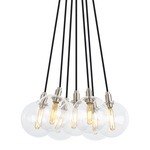 The Gambit Multi-Light Pendant exudes undeniable beauty and warm contemporary style through its bold use of high end mixed materials and retro-inspired lamp. 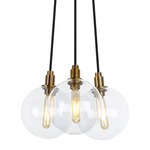 Finish in Aged Brass or Satin Nickel with borosilicate glass globes. Available in a 3-light, 7-light, and 19-light option. 2 watt max 120 volt E12 base LED vintage tubular bulbs are required, but not included. Provided with 10 feet of field-cuttable black cloth cord. ETL listed. Individual globe dimensions: 5 inch diameter x 6.4 inch height. 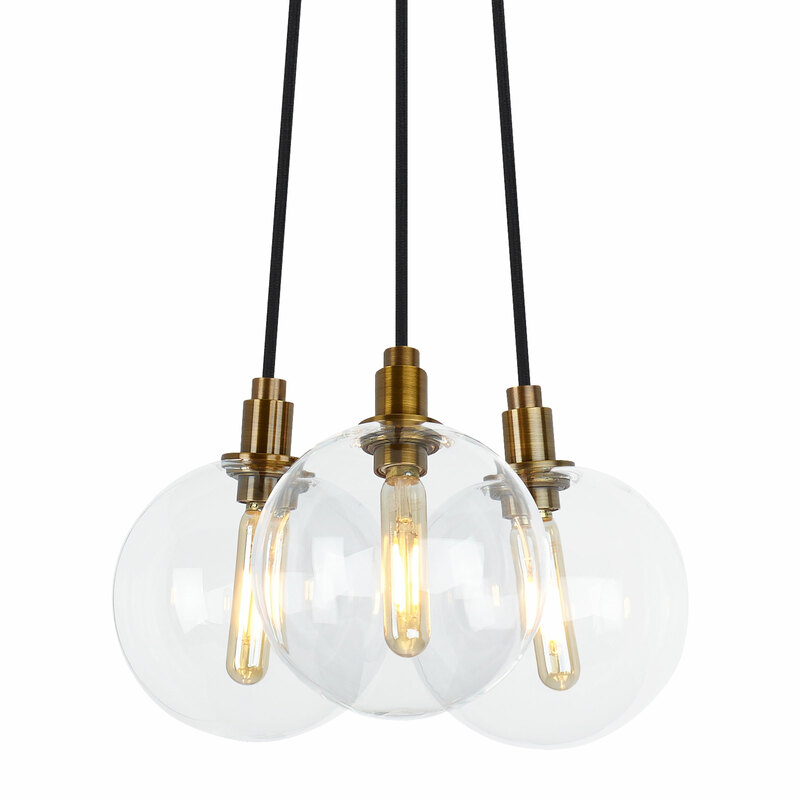 3-Light: 9.3 inch diameter x 126.4 inch overall length. 7-Light: 13.7 inch diameter x 126.4 inch overall length. 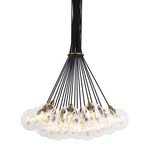 19 light: 22.3 inch diameter x 6.4 inch height x 126.4 inch overall length. Started in 1983 by Lightology founder Gregory Kay, Tech Lighting originally established its name as a leading designer of architectural lighting with its contemporary decorative fixtures and innovative low-voltage track lighting systems. Their earliest fixtures include MonoRail, Kable Lite, TwinRail and, later, T-trak. The Tech brand has since evolved, with a portfolio offering an expansive selection of lighting solutions for both residential and commercial applications. Tech Lighting products span a wide variety of lighting categories, including low- and line-voltage decorative pendants, wall sconces, chandeliers, bath bars and bath lighting, picture lights, directional track heads and ceiling fixtures (both flush mount and suspension) all featuring timeless, original design. You'll find Tech Lighting in homes with the most beautiful and innovative kitchens, bathrooms, foyers, dining rooms, family rooms and bedrooms, as well as in well-appointed restaurants, hotels, boutiques, offices and retail stores domestically and abroad. Lightology is proud to offer the best pricing anywhere on Tech products, with fast and free shipping for our well-stocked Tech Lighting inventory. With our seasoned and knowledgeable staff possessing extensive experience and training in all Tech products, it naturally follows that we at Lightology are the Tech Lighting experts.